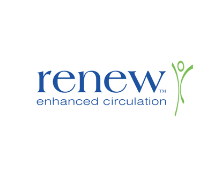 Renew Therapy gives everyone the opportunity to enhance their circulation through the introduction of External Counter Pulsation (ECP) technology. Widely regarded as an effective method to increase blood flow, ECP Therapy can help athletes improve their sports performance and injury recovery times. During treatment, inflatable cuffs are wrapped around the lower body, ECG sensors are then placed on the chest to detect the heartbeat. The inflation of the cuffs, in time with each heartbeat, compresses blood from the lower legs back to the heart, improving blood flow in and around the heart and throughout the body. The benefits of this treatment have clinically shown to provide improvement in vasodilation, increased VO2 and increased blood flow. The concept of obtaining a full cardio vascular workout without the physical stress of training can support athletes who are unable to train but still maintain a high level of cardiac fitness.